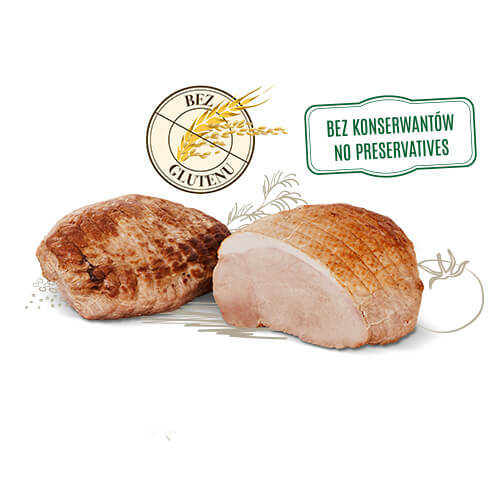 The aromatic and tender roasted products are ideal both for a festive dinner or everyday meals. The well-seasoned crust gives way to juicy wholesome meat, which looks great served in slices. Tender juicy pork enriched with the addition of fruit. 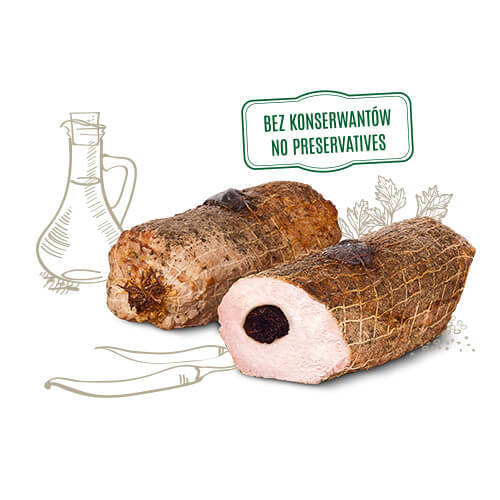 The distinctive taste of dried plums and a perfectly selected blend of spices and herbs contribute to its unique flavour. Excellent served both hot or cold.